Giveaway Hosted by: Tales From A Southern Mom and Mommy by Nurture Co-hosted by: NYSavingsSpecial and Stellar Manic Mommy Sponsored by: Plasmacar PlaSmart Inc., who makes the PlasmaCar is a Canadian-based distributor of smart, simple, educational toys for children. The story began in December, 2002 when Timothy Kimber, then owner of an ecommerce business, happened upon some children test-driving a yet unknown ride-on vehicle. Fascinated that this car did not require batteries or pedals and was propelled by simply turning the steering wheel, Kimber located the seller of this unique toy. 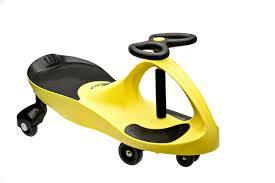 Within a month, PlaSmart was born with North American distribution and marketing rights secured for PlasmaCar. Now we can all get them! Any child would love to find this under the tree this year, this gift is going to be a hit! I feel that if you want to make sure you have a happy child on Christmas morning and beyond, the PlasmaCar is a must buy gift. 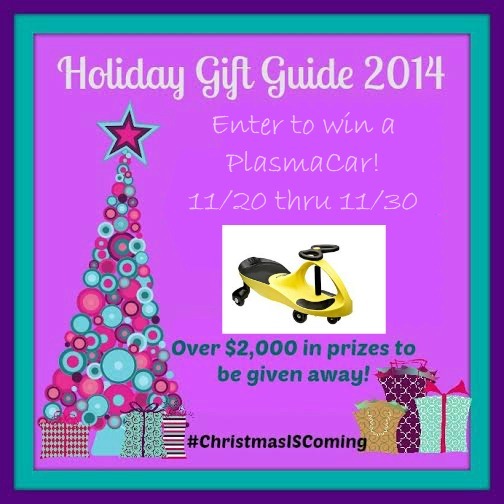 You can win your own PlasmaCar in our giveaway that they are sponsoring here! Enter Below, Good Luck and Happy Holidays! My grandson would ride on it. Ill try of course ;) but Id love it for my son lol. I think the whole family will try it out! I would love to give this to my daughter for Chirstmas. She would have so much fun! Yes i will ride it! Fun!